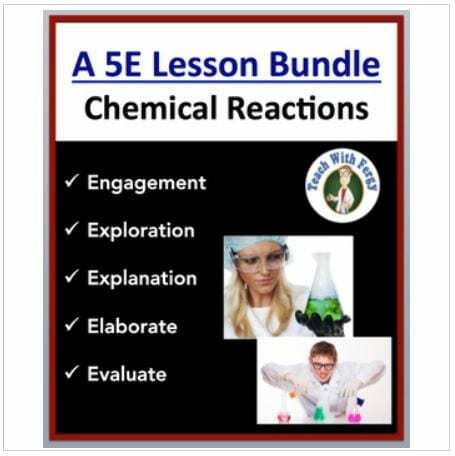 Introduction to Chemical Reactions – Fully editable and Complete 5E Lesson. 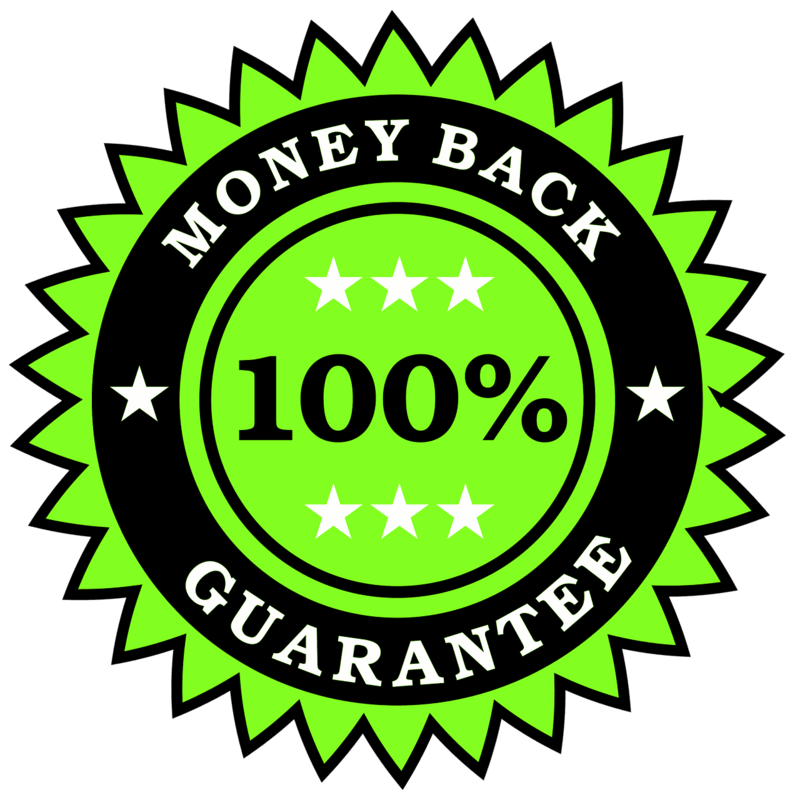 By purchasing this bundle you will save 43% vs. purchasing the individual components separately. 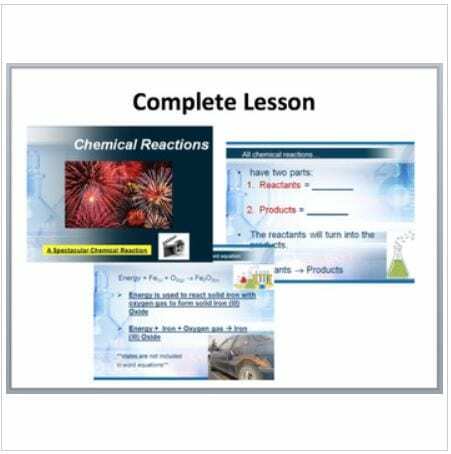 • Learn vocabulary associated with chemical reactions such as reactants, products, catalyst, energy, etc. 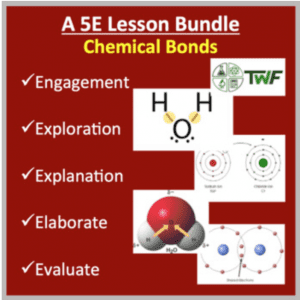 Everything you need to introduce or review Chemical Reactions is right here. The PowerPoint is interactive and engaging with YouTube videos hyperlinked directly onto the slides. No more searching for videos, just click on the slide and it will take you directly to them. 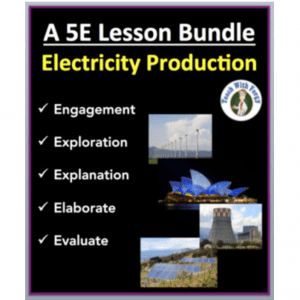 The student version of the PowerPoints contains multiple blanks that need to be filled in throughout the lesson. 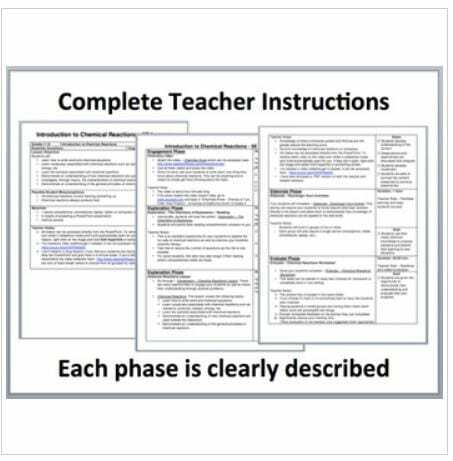 These blanks are conveniently underlined and bolded on the teacher copy. I have found this to be the most effective means of keeping my students engaged and active without having them write everything out. This also leaves more time for discussion and activities. 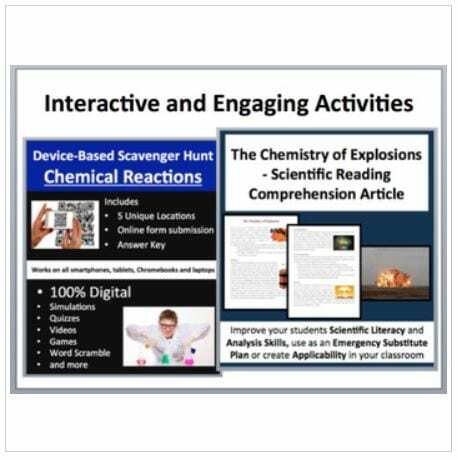 Chemical Reactions – Device-Based Scavenger Hunt Activity. 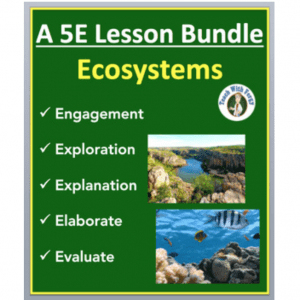 This activity is the coolest thing I’ve created and your kids are going to love it, mine do. Think of a scavenger hunt, then add devices (Smartphones, Chromebooks, Laptops, or Tablets), engaged students, and learning through assessment and you have this resource. Quick Disclaimer. 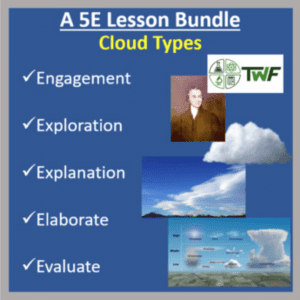 In order to use this activity, your classroom must have at least 1 device per 3 students. Smartphones, Chromebooks, Laptops, and Tablets will all work perfectly. • Let them loose! They move from Location to Location as they complete their tasks. Each Task is assigned by scanning the QR code and there are 5 Tasks per Scavenger Hunt Activity. 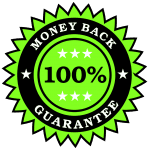 • Have them submit their answers directly to your email via a form on my website.